One of my earliest commissions, some years ago now, was to build three Collett coaches from Just Like The Real Thing kits. Who would believe another different client would commission three almost identical coaches a year or so later! 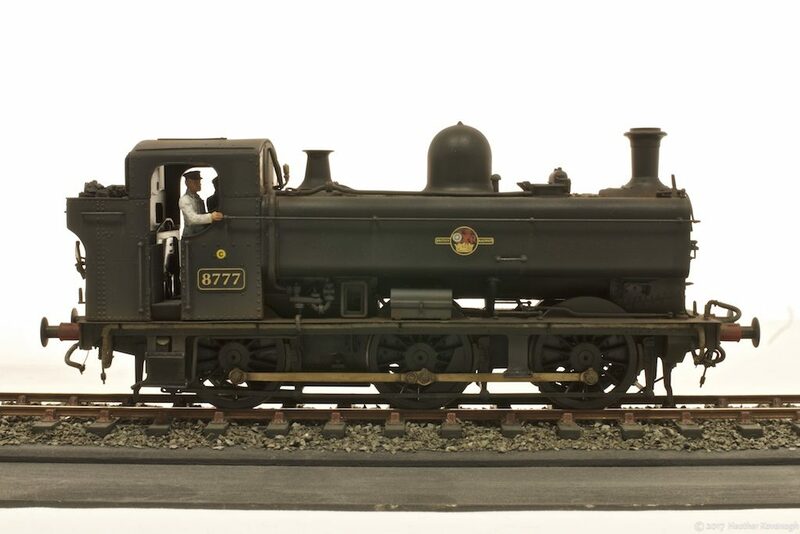 JLTRT 7mm scale kit of a Collett 57ft Bow-ended E127 1st/3rd composite coach. JLTRT 7mm scale kit of a Collett 57ft Bow-ended C54 All Third coach. JLTRT 7mm scale kit of a Collett 57ft Bow-ended D94 Brake Third coach. 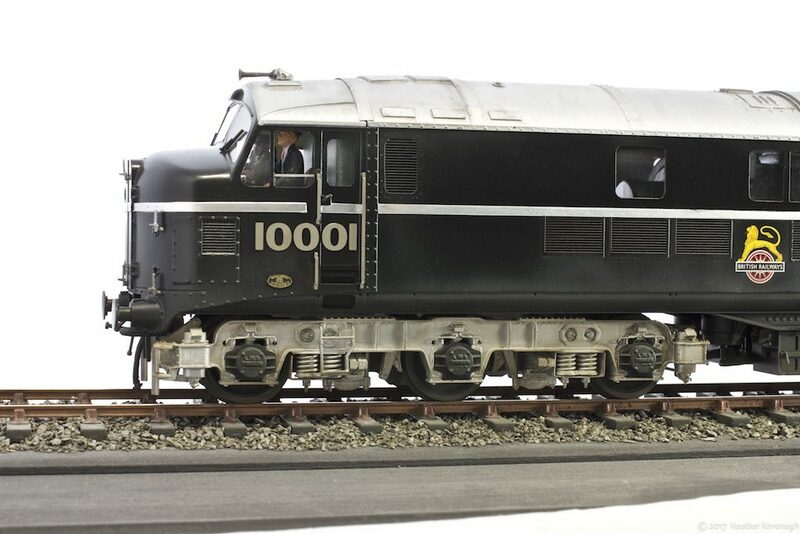 These models are all to 1/43rd scale, 7mm to 1ft, and Finescale O Gauge. As they will run as a semi-permanent set, the client requested Kadee knuckle couplings between the vehicles, leaving the standard screw-link couplings at the outer ends. The livery is the first British Railways “blood and custard”, which was applied to gangwayed passenger stock from 1948 until 1956. 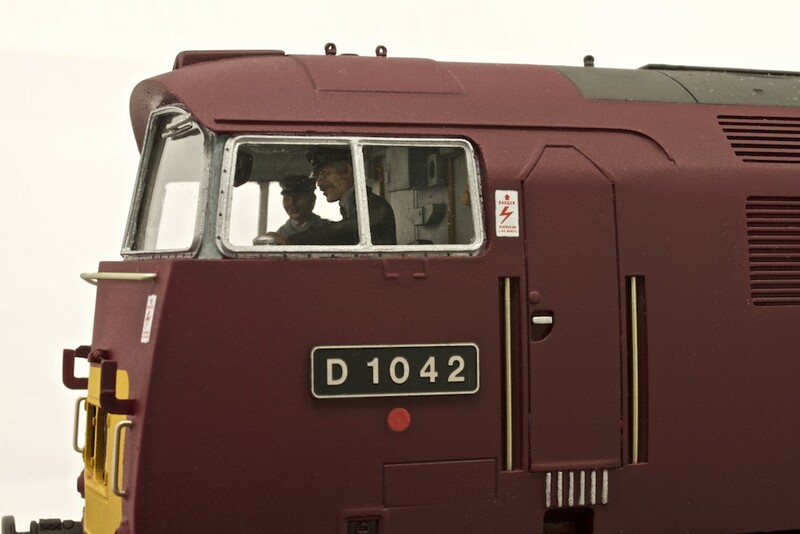 Although virtually impossible to see, the interiors have been fitted out as authentically as possible, and the guard’s compartment is fully detailed as well. 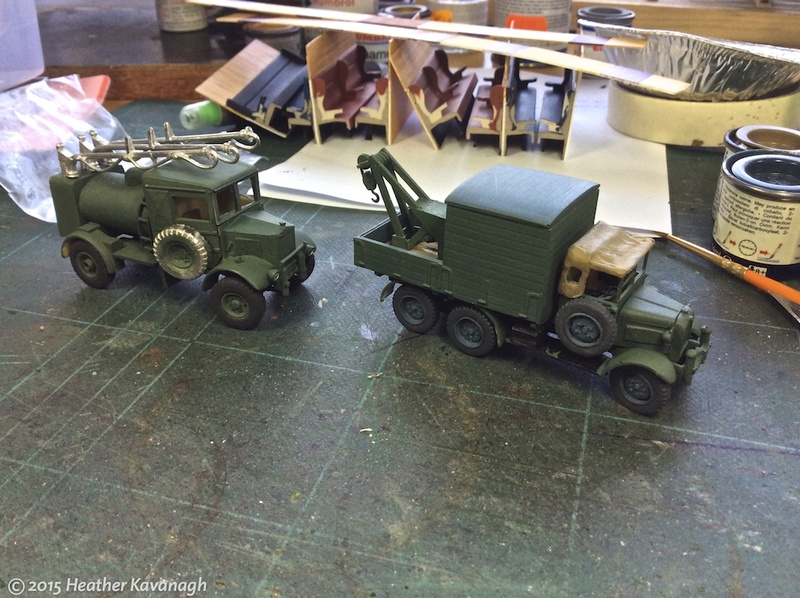 In case you missed it—although it would be hard to do!—I am a professional modelmaker. I take commissions to build chiefly UK-outline railway subjects to 7mm scale. You can see more about my work on my web site, follow me on Twitter (@HKModelmaker) and find my page on Facebook (search for @HeatherKModelmaker). The workshop has seen a few builds come to a conclusion—or near conclusion in one case—in the past couple of weeks. Sometimes I find commissioned work gets bogged down for various reasons, and oddly this seems to get worse the closer to completion a model gets. I can’t explain why, but it’s probably to do with lots of little bits and pieces, sub-assemblies and paint jobs all taking their time to come together. Just completed, aside from one or two quality control issues that appeared after the appointment with the official photographer, is an etched brass kit of a Mk1 RMB (Restaurant Miniature Buffet). This has been a rather protracted build, due in part to ineptitude on my side, and it being a complex kit of several thousand components. 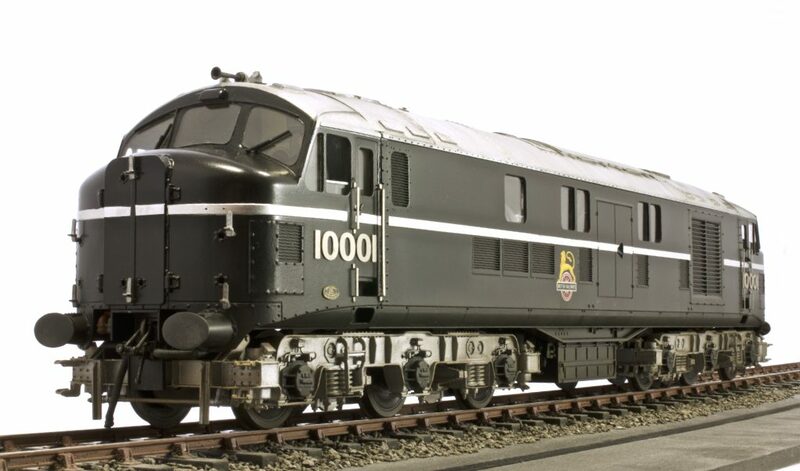 The model represents an RMB, dating from the early 1960s but still running in service in the early 1980s. The kit was adapted to show the modifications and upgrades made to the vehicles over the years. 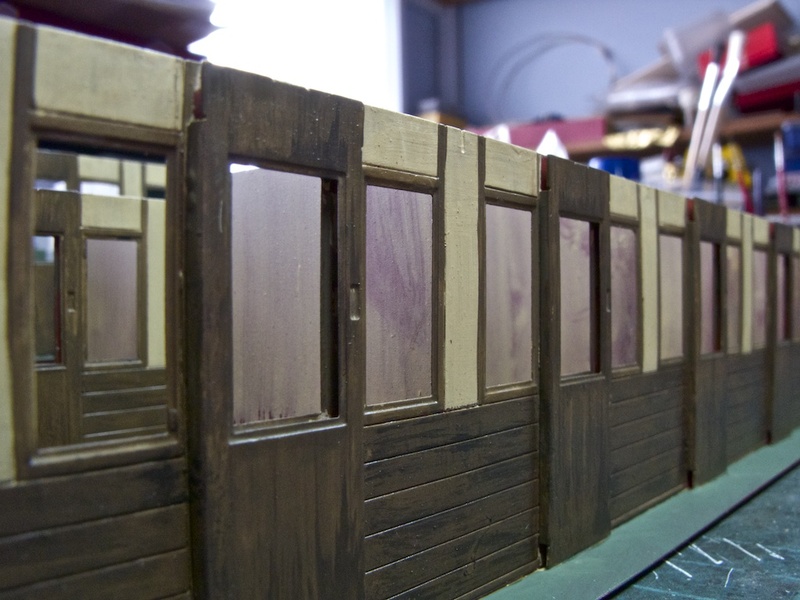 Modifications included strips down the sides of each door, designed to prevent corrosion, and the inclusion of air braking and electric train heating equipment in addition to the vacuum braking and steam heating. 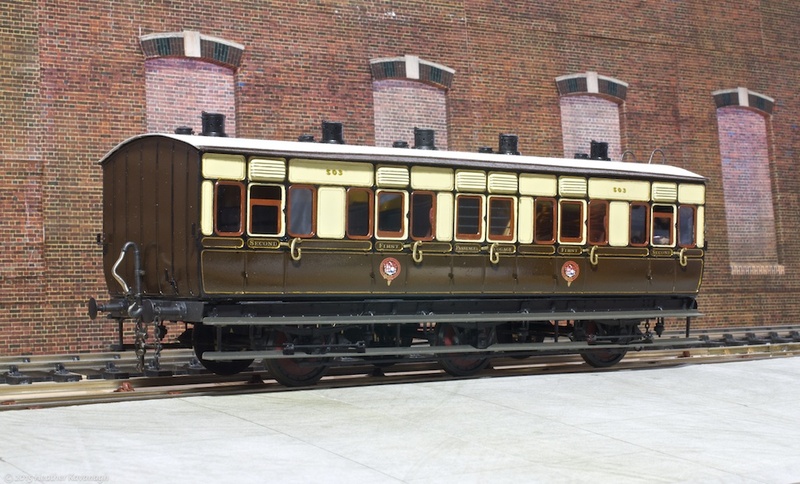 The Diagram 99 Restaurant Miniature Buffet coach was built with Commonwealth bogies, weighed in at 38 tons, and could seat 44 passengers in two saloons either side of the bar area. The smaller saloon was designated as non-smoking from new. 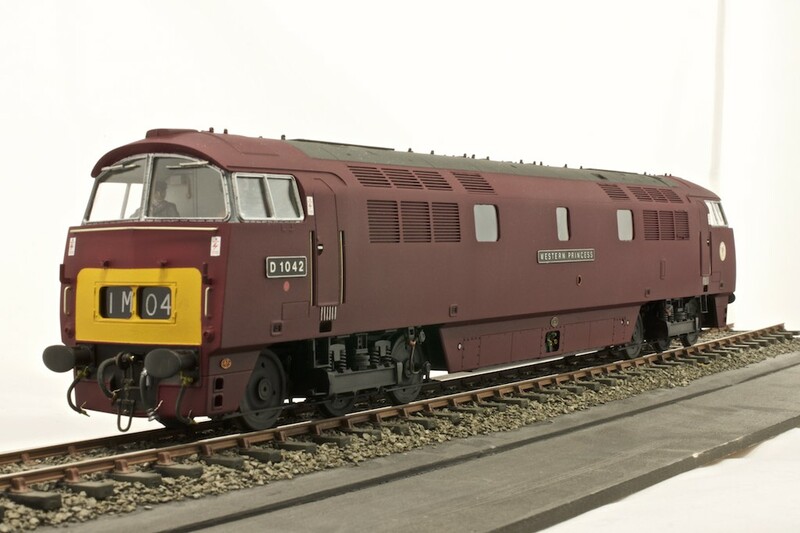 This particular vehicle was built at BR’s Wolverton Works in north Buckinghamshire in 1960 as part of Lot 30520, and it was originally allocated to the Scottish Region. 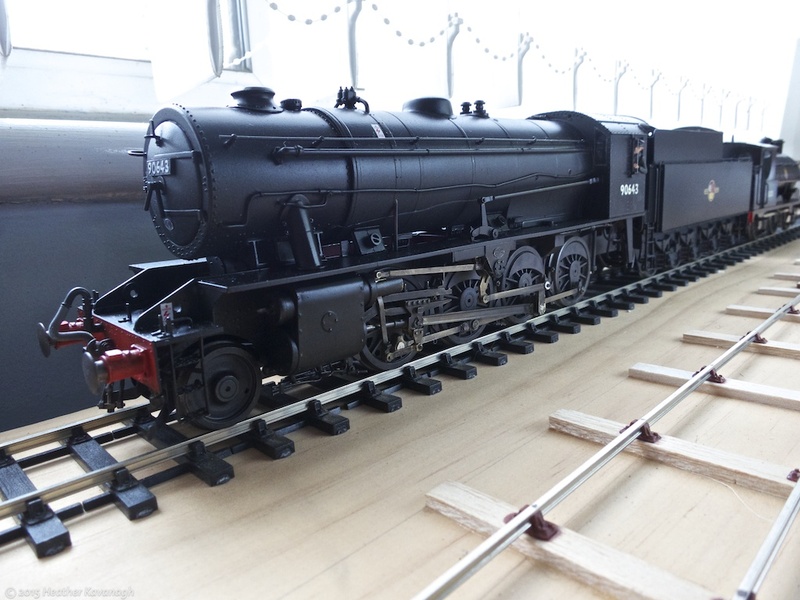 The model is built to a scale of 1/43rd, 7mm to 1ft, and to ScaleSeven standards. 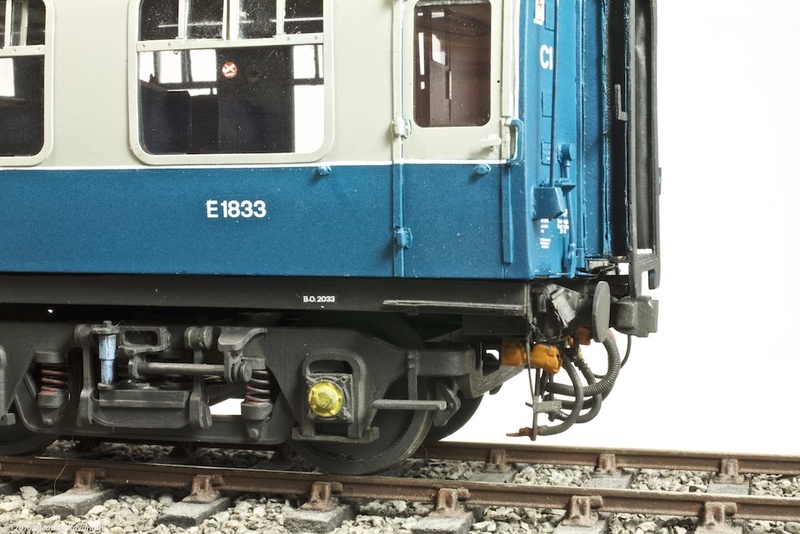 A lot of research was needed to get the underframe details as accurate as possible, enhancing an already comprehensive kit. 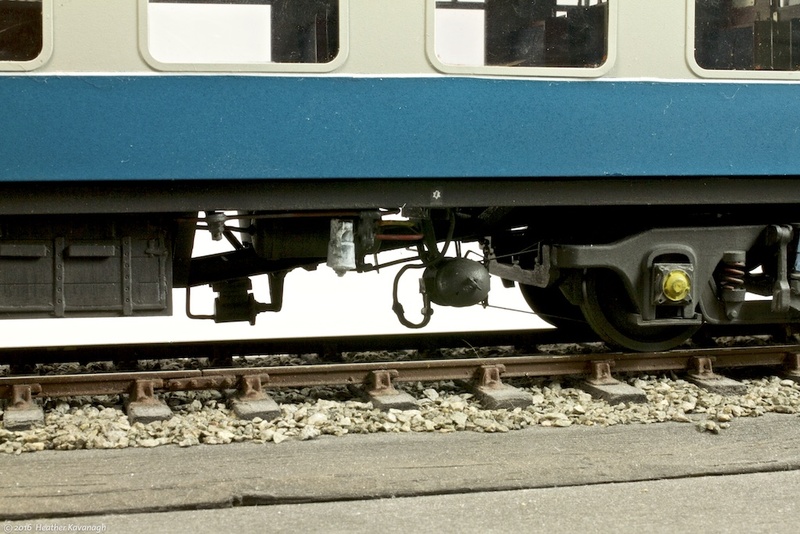 This view shows some of the additional braking equipment fitted below the frames. 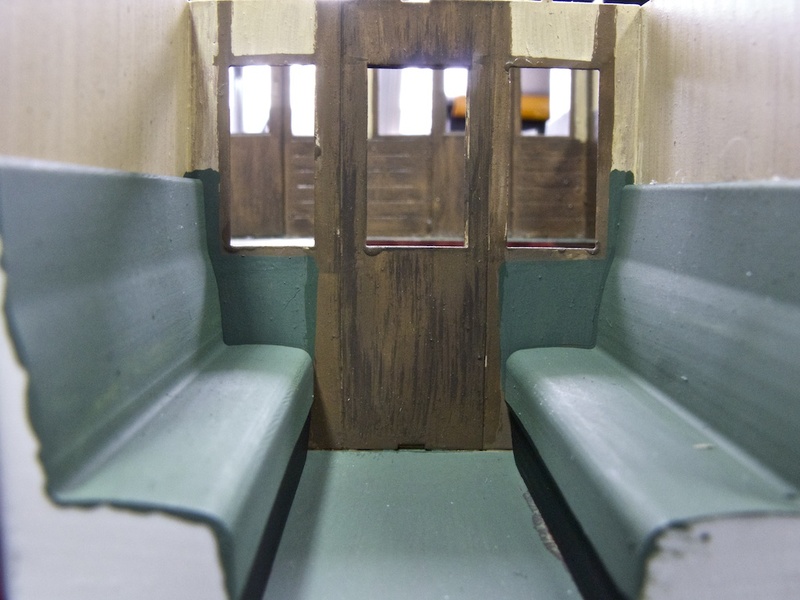 The interior of the coach is also fully modelled—though, sadly, the client didn’t want scale representations of styrofoam cups, stale cheese sandwiches or concrete pork pies! The buffer beam detailing was interesting and challenging, with the requirement to fit the extra air brake pipework and ETH sockets. The kit’s designer knows the real thing intimately, and has managed to capture a lot of the subtle detailing of a Mk1 coach in his kit. It is probably safe to say this is about the most accurate Mk1 kit on the market today. As a build, it has been challenging, occasionally frustrating, but ultimately rewarding. There are parts I wish I could have done better, but that seems to always be the way with professional modelmaking. 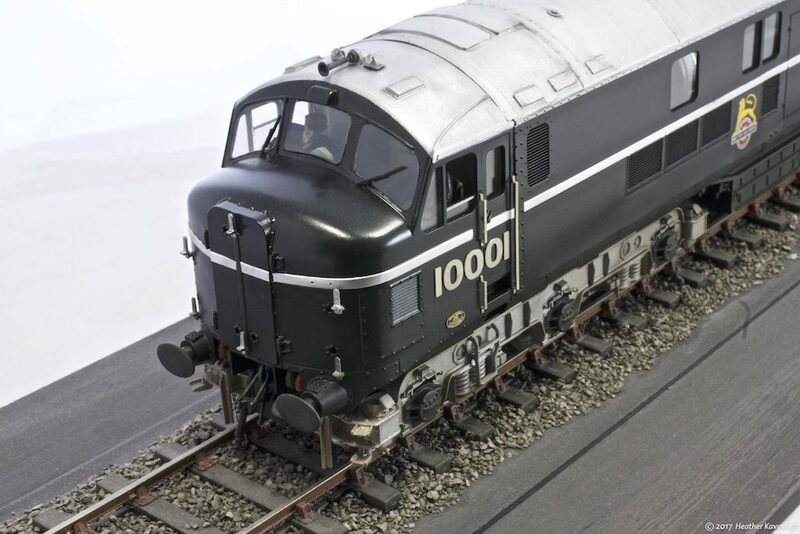 I build railway models, mainly O Gauge (7mm scale), professionally. You can see more of my work, and read a little about what I do for a living, at my web site. 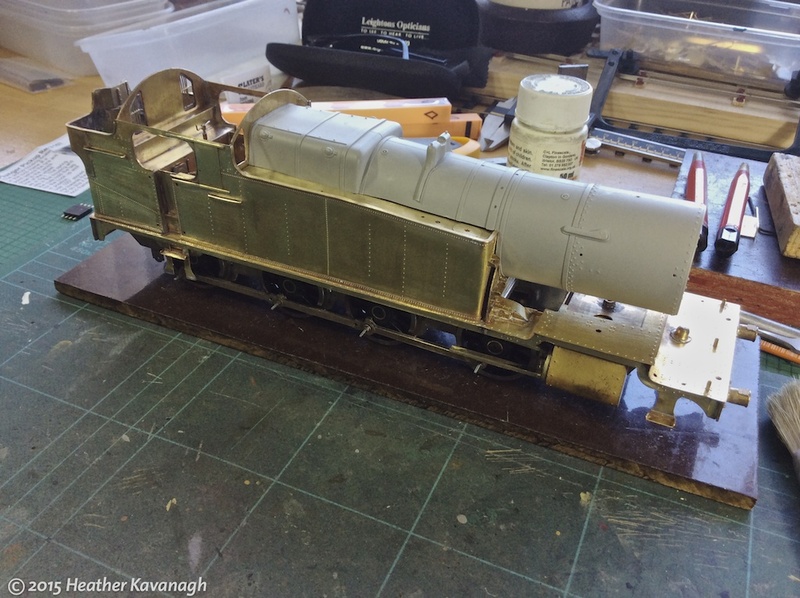 I also have a Facebook page (@HeatherKModelmaker), and you can follow me on Twitter (search for @HKModelmaker). Hello, remember me? I know. It’s been a long time, but I don’t always have time to keep the blog updated. When I worked at a desk, pushing pixels about all day, then it was easier. Now, I’m pushing bits of metal and plastic about at a workbench, and I rarely sit at the desk even to deal with my email! So, what’s been happening since my last post? Quite a bit, really. I’ve almost completed two commissions, spent a weekend at a big model railway exhibition up in the Midlands—and came back home with three new commissions to add to the pile—and spent a bit of time sorting the house out. On the modelling front, I’ve been doing some personal stuff to do with my ongoing—lifetime? It seems like it!—Battle of Britain project. Airfix has been helping out in this 75th anniversary year by producing some useful vehicle kits (and a slew of new aircraft kits) in the correct scale, one of them being the towed oil bowser here. The tractor is from Flightpath, and was a fiddly but ultimately satisfying cast and etched kit of a Fordson tractor. I now notice Flightpath has introduced the bowser as well, complete with the tractor. A couple of kits that have been lurking around the bench for several years also saw some progress. 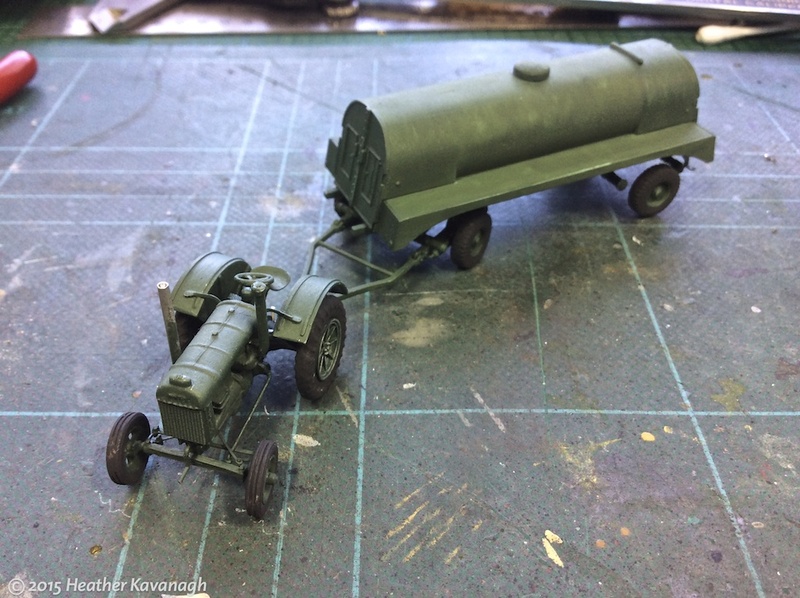 The Albion refueller on the left is typical RAF airfield fodder from the early Second World War; the Crossley breakdown and workshop lorry is less so, but still makes a nice model. The difference between 1/72nd and 1/76th scales becomes apparent here, as the Crossley is the latter, which makes it slightly under scale compared to the Albion. Meanwhile, the L&YR Aspinall saddle tank was lettered up, by client request. 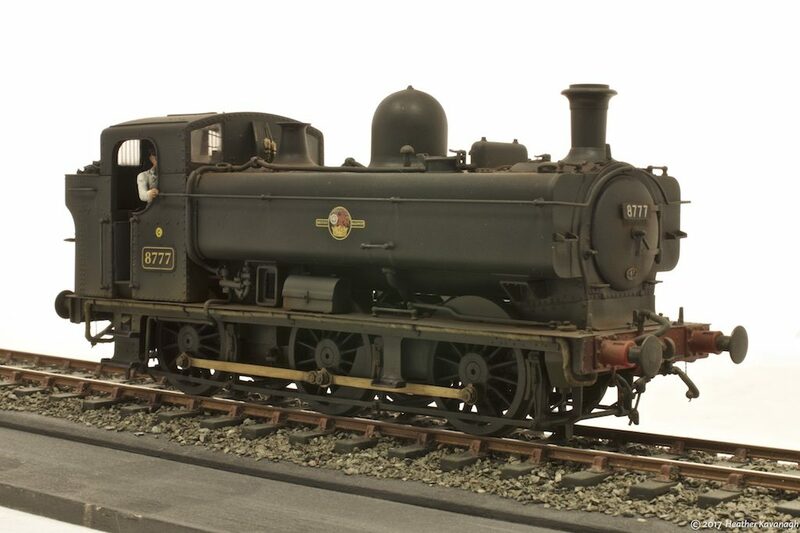 I delivered it in this shiny form at Telford earlier this month, at the Gauge 0 Guild convention. I looked away and when I looked back it had been weathered by my fellow weekend demonstrator, who goes by the name “Dodgy” Manton. I ought to have taken a picture! A fine job he did, as well. 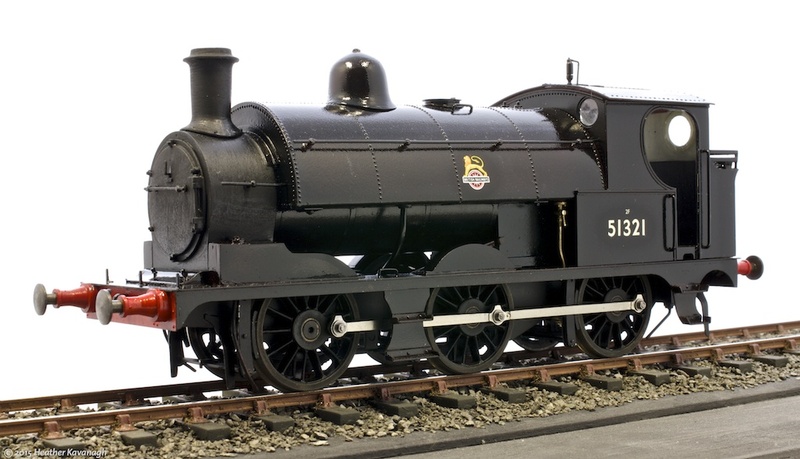 This beast is a GWR 5200 Class 2-8-0T, which has been passed to me as a “finish it for me” commission. This is as far as my client got, so I really don’t have a lot to do to complete it. At the other end of the GWR spectrum, another broad gauge 6-wheeler has rolled out of the works. It needs a little weathering, but is otherwise complete. My next build for this client is something a little larger, so watch this space. Another commission nearing completion is this WD 2-8-0. It’s a big old model, and is just waiting for me to pluck up the courage to make it look dirty. 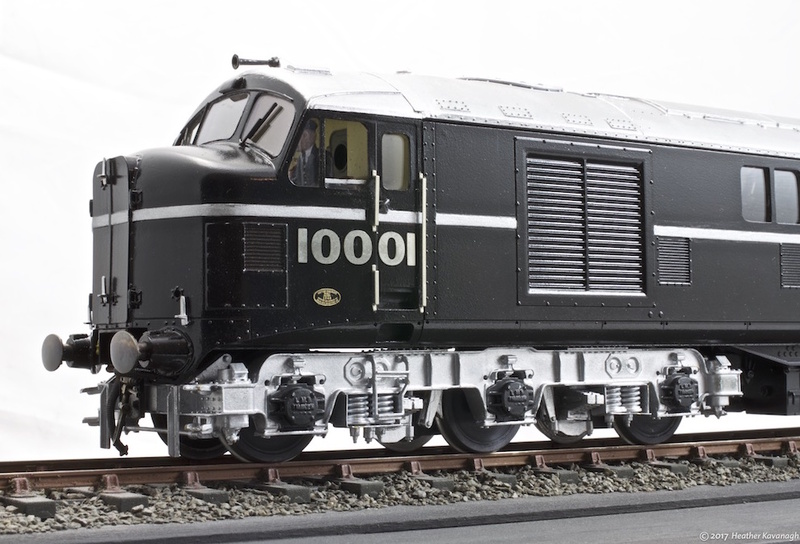 This type of loco was pretty famous for being anything but clean when in service, so I need to break out the weathering and get it looking used. Finally, a fairly ropey photo of an ex-GWR Crocodile G trolley wagon, which I built up from a kit I’ve had in the personal stash for several years. I realised I needed some completed models I could show when demonstrating at exhibitions, preferably ones which were going to hang around for a while and not be passed on to their proper owners as soon as they are finished! 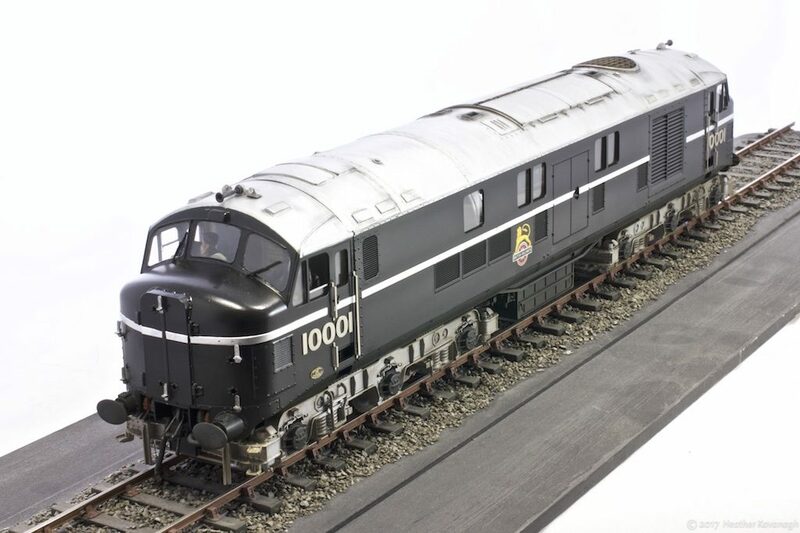 I have several wagon and coach models I plan to try and complete for showing off purposes, and pragmatically I have opted to build them to 0 Gauge fine scale rather than ScaleSeven, in case someone makes me an offer to buy. As I have two almost complete builds now, I am considering which models come next in the pecking order. 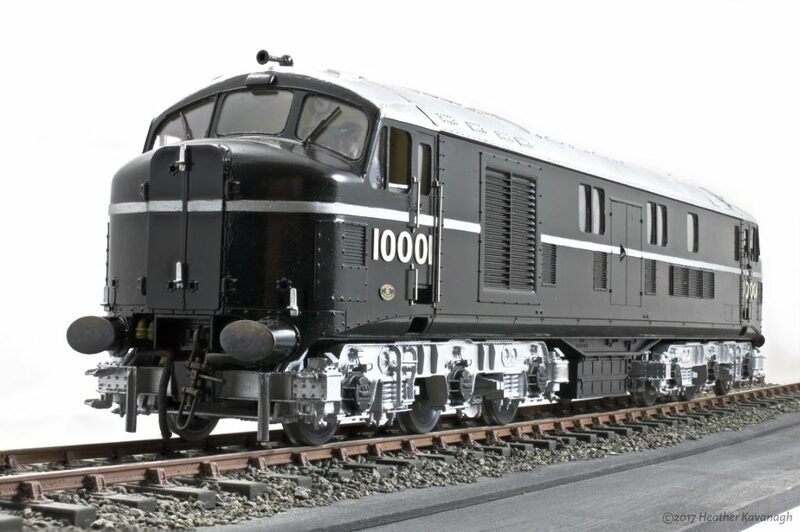 Currently on the bench is an early diesel loco, and I ought to consider beginning construction of three coaches that have also appeared. As I type, I have something like a year’s work, which is satisfying and scary at the same time. 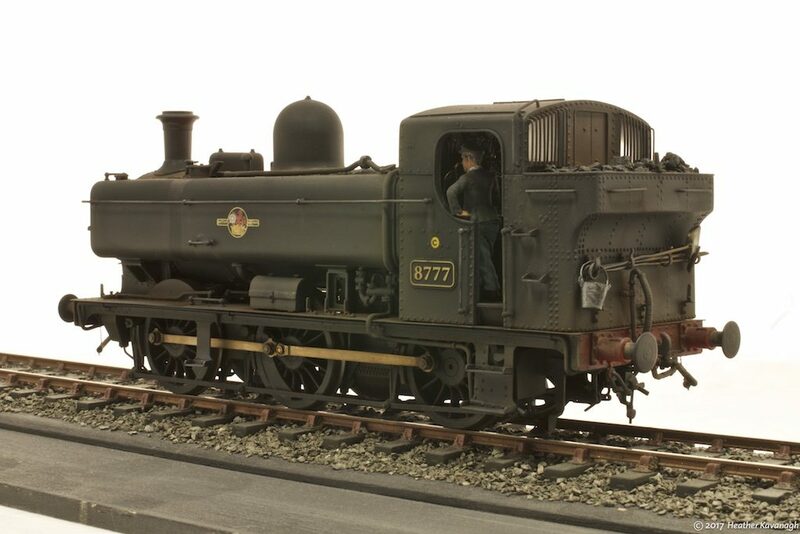 In case it wasn’t obvious, I am a professional modelmaker, specialising in 7mm scale (0 gauge) models. I try to keep the showcase section of my web site updated regularly, and my Facebook page is also worth a peep if you are into that sort of thing.